Many child care facilities emphasize school readiness so that when your child goes to kindergarten, he or she will be prepared, and set up for success. Child’s World Academy, with locations in Peekskill and Monroe, prioritizes academic success. We have a winning track record for this. At least 90% of our students typically score high on a kindergarten preparedness test that we administer in Fall and Spring to track your child’s progress. As important as kindergarten preparedness is, we know that unless a child also has a level of emotional maturity, they will struggle in school. 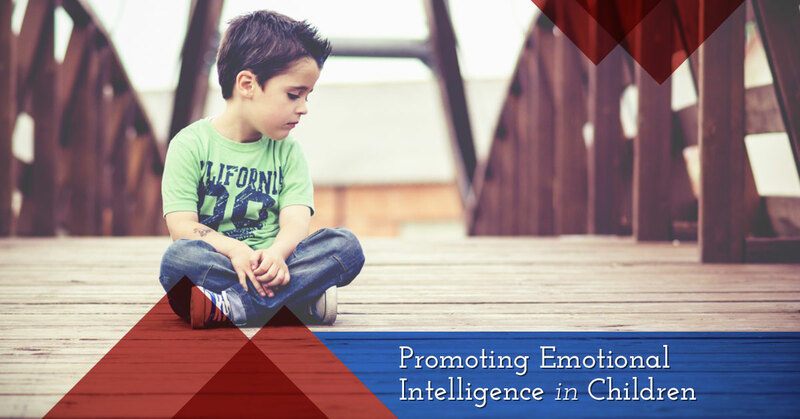 Part of this maturity that children develop is called emotional intelligence. To help you help your child develop this aspect of their intelligence, we will discuss it in this week’s blog. Toddlers are infamous for not being able to regulate their emotions. They become ecstatic or loving when exposed to something they like, but they can also become distraught, or explosive when confronted with a negative experience, such as a sandwich (clearly) cut in the wrong direction. It is important to remember in these moments that emotions are not intentional and children can also be expressing bewilderment at the strength of their own emotions. They don’t know where these strong emotions came from, or how to express them appropriately. The job of grownups is to teach children about emotions, how to live with them, and how to use them to better their lives and the lives of the people around them. When we speak of literacy, we normally mean reading and writing with letters. Reading is taking in the words of others while writing is expressing your ideas to others in an organized manner, following rules that we all have come to know. Emotional intelligence is not much different. It involves understanding the emotions of others and expressing your emotions. We have certain rules that we all use to express emotions. These rules are sometimes implicitly taught, by seeing the example set by others, and other times explicitly taught, when we tell children to use their words to express their anger, for example. When a person is emotionally literate, they can read another person accurately and respond appropriately, and they will also behave appropriately when they experience a strong feeling themselves. How Do You Teach Emotional Intelligence? As the parent of a toddler or preschool-aged child, you already know that children do two things above all other things: the display their emotions and they imitate adults. These two characteristics make it easy for them to learn good habits, or bad habits, depending on what they see, and -when they learn them- how they choose to use them. The lizard brain is what psychologists have nicknamed the limbic system of the brain. It is in this system that emotions, additions, moods and other quite primitive functions reside. When a person goes through their day, their brain is processing incoming stimuli at breakneck speeds. The input first goes to the limbic system. The reactions that emanate from here are fast and usually within the fight or flight group of behaviors. This is what a child is working with you deliver them a bowl of cereal perfectly poured but in the wrong bowl. Their limbic system senses that something is not right and reacts as though a lion just jumped through the window. The goal of emotional regulation is to rewire the brain, through practice, so that the instant reaction of the limbic system is overridden by the secondary reaction, which comes from the higher brain. The higher brain is found in the neocortex: the gray matter part of the brain. When a child can take that second or two that it takes for the higher brain to switch on, their emotional reactions will be much more socially acceptable. Some children absorb emotional information like a dry sponge, while others struggle with it. When you suspect your child struggles with an intuitive understanding of emotions, remember that they can learn them cognitively. This means that they can learn that a frown means that someone is unhappy and over time, this understanding will become automatic. One great way to teach this is to look at magazines with your child, or the TV with the sound off, and pause it on a face expressing emotion. Ask your child what they think the person is expressing. You can then teach them the right word for it. If you are using magazines, you can even cut the faces out and group them together and make a poster. This is a great way for kids who learn by doing to understand emotions. We know that kids imitate people around them. It is also common knowledge that our children know how to press our buttons. Children have the uncanny ability to bring out the very worst in their parents. If an adult has one particularly bad habit, and who doesn’t, a child will somehow hold the key to that and turn it without the slightest compunction or awareness. When it comes to emotional intelligence, this is the time for parents to step up to the plate and work on those bad habits, and show the children in their lives how to manage strong emotions. This is more easily said than done, but the benefits will be yours to enjoy in your life and make your child more manageable and happier in life. One tip that can help parents is to have a script. There are plenty of parenting books out there; the trick is to find one with practical tips and internalize the. One way to do this is to find an appropriate response and write it down in big letters on a piece of paper and put it up on the wall. When you child pushes your buttons, simply read your lines. When you are looking for child care that cares about your child’s emotional well-being as well as their kindergarten readiness, call Child’s World Academy to schedule a tour of our facility.